While almost every witch follows Moon phases for doing spells, rituals, and other magickal works. I also use the Sun phases, especially because my patron God is Ra. Every day there is a waxing, full, waning and new phases for the Sun besides the seasonal changes. From midnight to noon is the waxing phases, the full phase is from 11:55 AM to 12:05 PM, the waning follows until sunset than at 11:55 PM to 12:05 AM is the new Sun phases. For the seasons spring is the waning, summer the new fall the waxing and winter the full. 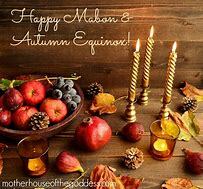 You can also go by Sabbat dates Beltane-Waning, Summer Solstice – New, Samhain – Waxing, Winter Solstice – Full. This idea and the phases may seem a bit strange to people but when the Moon is in the wrong phases for something I cannot wait to do I use the daily and if possible seasonal Sun phases. This gives me more options of what I need to do.